Finishing Touch Clinic team celebrate showing off their trophy! 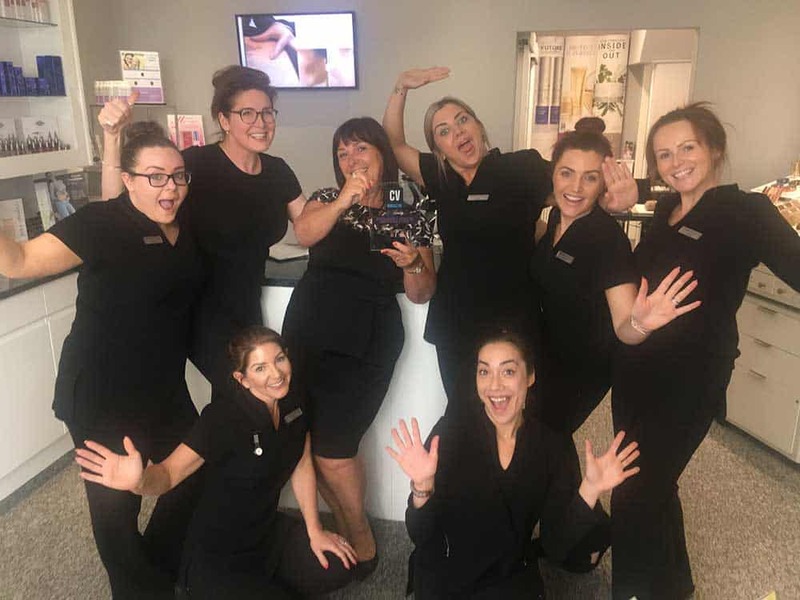 We are all just a bit excited to have won The title of UKs Most Outstanding Beauty Salon for 2018 awarded by Corporate Vision Magazine… and it’s all down to our amazing team and your fantastic support. Here is what Corporate Vision Magazine has said about us. 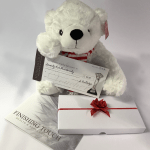 Finishing Touch Health & Beauty Clinic is a multi-award -winning beauty salon and anti-ageing clinic that offers some of the most effective health and beauty treatments and products available. We profiled the clinic as we explore the exciting treatments that the team provide to clients. Based in Consett, Finishing Touch Clinic is a sought-out destination for discerning clients willing to travel due to the clinic’s innovative approach to anti-ageing solutions, and who are always staying at the forefront of technology. Boasting a wealth of experience, the clinic’s team of therapists and expert clinicians are skilled in offering a tailor-made service which meets the individual’s needs, in addition to always serving professionalism and passion. Currently, the clinic is pushing the boundaries of hygiene to make its treatments the safest and most sterile available, by moving even the most standard treatments to a medical grade. Within Finishing Touch, the team is dedicated and driven to delivering the very highest of standards, only using the best possible treatments and products to exceed client expectations. As a friendly and welcoming clinic, staff constantly welcome feedback from clients and employees in order to help the company consistently improve its offerings. Aiding the clinic in its quest to deliver the best, there is a sense of passion and pride amongst all employees. All members of the team are passionate about their work, highlighted by their professionalism and knowledge gained through the company’s commitment to personal development and training. Furthermore, staff also take great pride in serving clients, possessing the confidence to provide beauty treatments and solutions which are catered to the individual needs of the client. With the team striving to deliver the most innovative healthcare products and treatments, the clinic is subsequently able to mark itself out as the best in the business to clients. Additionally, Susan has unique relations with top suppliers, enabling advanced access to the most up-to-date beauty knowhow and innovations, and Susan is always the first to invest in the region. Also, Susan has a keen eye for emerging developments, in addition she knows personally many of the directors who are top industry and aesthetic suppliers. Due to these strong relationships, she is well informed with up-to-the-minute health and beauty innovations long before other beauty and salon businesses have heard of them. Alongside this, Susan is also an Industry advisor on standards, as well as a national awards judge and international speaker, so she is constantly at the forefront of the Industry. When looking at developments within the industry, Finishing Touch is pleased to say that their current processes and client data security are already well adapted and in-line with General Data Protection Regulations that are sweeping their industry right now. Indeed, Susan, as well as being the clinic Founder and Director, is also a consultant to the industry and ever-the-forerunner has guided many other salon businesses through the process of compliance with her guiding expert, Nicole Thompson, from NMT HR services – they believe they have set the standard in this area. 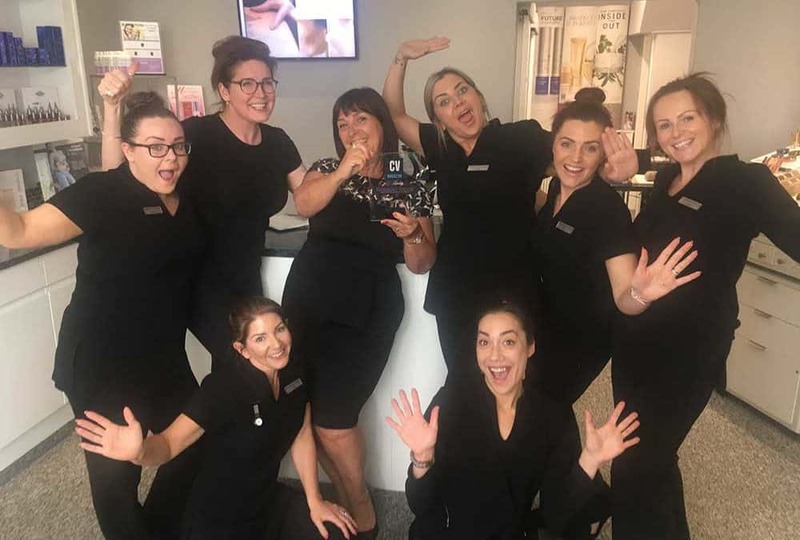 Finishing Touch Clinic Awarded Most Outstanding Beauty Salon 2018 – UK Finishing Touch Clinic Awarded Most Outstanding Beauty Salon 2018 – UK Overall, with staff at the clinic continuing to provide an unrivalled service in the health and beauty sector, there is an incredibly bright future ahead for Finishing Touch Clinic. The clinic will continue to be a trailblazer in new and innovative beauty solutions, and its natural progression has led Finishing Touch heavily into advanced anti-ageing treatments. Continuing to stay at the forefront of innovation, the clinic’s next investment is in Thread Lift treatment for face and neck lifting and toning which is offered by the medical aesthetic team. We are so happy that our salon is being recognised and, most importantly, we are providing a world class service for our loyal clients who, like us, expect nothing else. We’d like to thank all of our clients because we couldn’t have done it without you and we hope your looking forward to the journey ahead… Starting with our 30th anniversary celebrations. YOUR INVITATION TO TRY OUT HAIR NO MORE FOR FREE! LOOK YOUNGER, NOT OLDER THIS YEAR! MAKE CHRISTMAS SHOPPING SIMPLE & STRESS FREE! © Copyright 2019. Finishing Touch Clinic. All Rights Reserved.